Translator Foto is a versatile translation tool that supports 100+ language text translations and voice translation. What is the use of Translator Foto? 🚢Travel🚢 Travel freely wherever you are and easily understand foreign language menus, road signs etc. 👫Communication👫 Communicate with foreigners without any difficulties and language barriers with the help of Translator Foto. 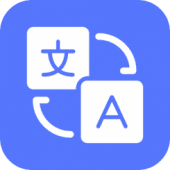 📖Study📖 100+ language translations supported, any type as you wish to learn. 📝Work📝 Take photo of foreign business files, recognize it, get texts and easy to translate! Manually enter text, such as sentences, phrases or characters, etc. or copy text from any applications or web browser and translate it quickly. Copy text to clipboard, other app or browser, etc; edit scanned text; share scanned text or translations with friends via social network. You can also view your historical translation history freely.